Wine grapes have been cultivated at Castel Turmhof for over 300 years, and from numerous historical documents, it is clear that wine growing played a significant role in the economic development of Entiklar. Vines were cultivated here as early as the era of the Rhaetians, and in particular, during Roman times. The “Linticlar estate” is first mentioned in records dating from 1225 AD. A hundred years later, the Cathedral Chapter of Trento was supplied with wine from the estate “auf dem Püche,” also known as “mansu a coste,” on the orders of the Counts of Tyrol. With the drawing up of a new land register in 1848, the castle name officially became “Turmhof” under owner and winemaker Karl Pardatscher. 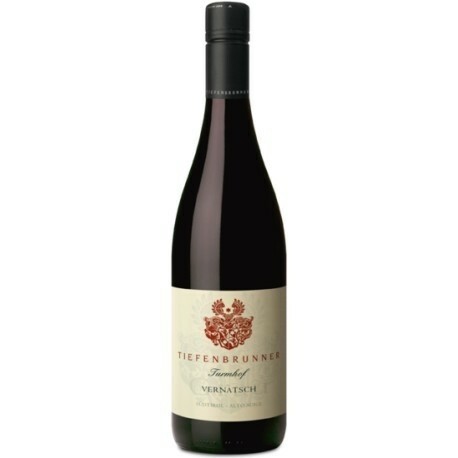 In 1968, Hilde and Herbert Tiefenbrunner took ownership and set off in a new direction for the winery, with the opening of an outlet at the Turmhof. Wines intended for sale off-premises were now bottled and sold to the general public. Gradually, new markets were developed and production of bottled wines increased accordingly. Born in Bolzano in 1965, Christof Tiefenbrunner attended the Commercial School in the Alto Adige region at Ora, followed by the Laimburg School of Agriculture Horticulture and Viticulture. Christof’s winemaking training also included three months at the Castello di Volpaia in Tuscany in 1985, and three months at a winery at Augsburg, Germany in 1983. Today, along with his father, Herbert, Christof is fully committed to the Tiefenbrunner principles of preserving the character of grape varieties and the high quality of the grapes themselves.